As digital technology has advanced, the boundary between reality and the virtual has been blurred, and virtual images coming to life have become commonplace. How much digital technology is being used in architecture today? The architecture exhibition, ‘Made in Digital’, which is on-going at the ADIK Architecture Gallery from Sep. 13 to Oct. 13, set out to answer this question. Jeon Youchang (professor, Ajou University), who has curated this show, commented that the aim was ‘to understand the various and complex architectural activities performed by architects using digital based technology, and to capture the process of realisation’. Yang Soo-in (principal, Lifethings), Jeon Youchang, Kim Sungwook (co-principals, aDlab+), Hyoung-gul Kook (principal, HG-Architecture), Jeonghoon Lee (principal, JOHO Architecture), and Jeong Euiyeob (principal, AND) took part in the exhibition and showcase their respective digital processes. Yang Soo-in shared the social interaction process that forms social relations with architecture as the medium. Jeon Youchang and Kim Sungwook presented the digital collaborative process used in the co-work process. Hyoung-gul Kook displayed the pavilion formative process he worked on by morphing steel. Jeonghoon Lee introduced the material process regarding various materials from steel to bricks. Jeong Euiyeob showcased on site his ideas regarding a constructive process that realises complex forms or ideas using digital technology. The exhibition method is borrowed from Instagram, laying out the process flow on the walls with images, short narratives, and hashtags. Each hashtag is linked to the images and content of other architects. This allows the architects to deliver their story in one image and instigate another strand in the imagination of the process by sharing ideas via hashtags. This format also takes on the exhibit’s theme of digital technology. A 3D mock-up model assists in understanding the process. 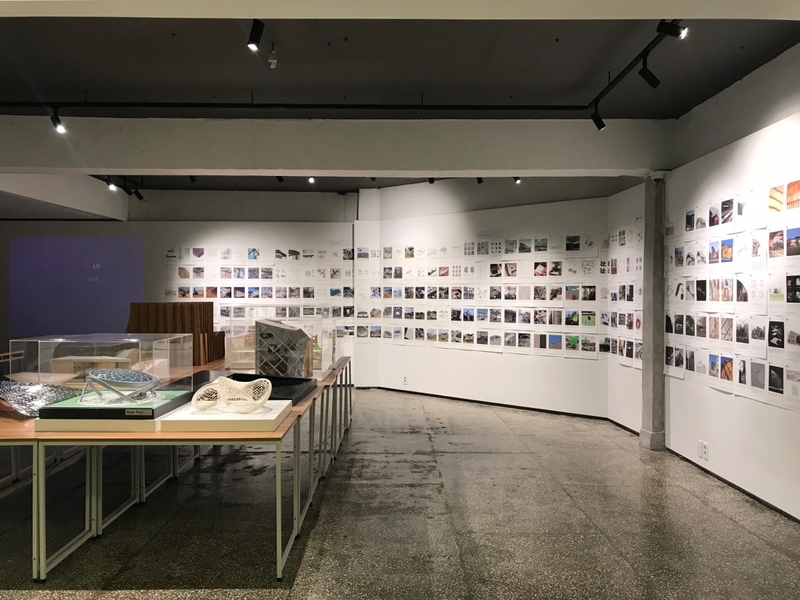 Hosted by Architecture Design Institute of Korea (ADIK) and in cooperation with Monthly Architecture & Culture, the exhibition is featured along with the book Made in Digital. It is a compilation of the wall contents of the exhibit along with the two discussion seminars with Kim Myunggyu (principal, MasilWIDE), Shin Changhoon (co-principal, UNSANGDONG Architects), Lee Myungsik (professor, Dongguk University), and Park Jeongdae (professor, Kyonggi University) in addition to the participating architects.